Excuse me, good sir. Do you dream about flying along in the open air three miles above the ground without the inconvenience of wings to hold you up? Do you wish you could commute above the madness of traffic, zipping along at 150 miles per hour while those fools on the 405 crawl along at a tenth that speed? Have you ever fantasized about blasting the hats off unsuspecting folks on the sidewalk with jet wash as you land in front of Starbucks? 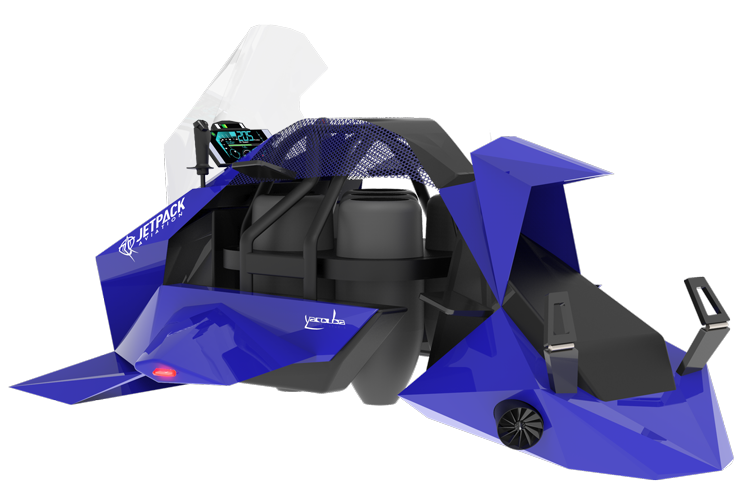 Well, for a mere $380,000, you could be doing just that soon enough—on your very own hover bike. All you have to do is serve up one little down payment of $10,000 right now. Don't think twice about the fact that the JetPack Aviation Speeder, as the hover bike is formally known, is apparently about as real right now as the starship Enterprise, seeming to existing solely in CGI form on the company's website. 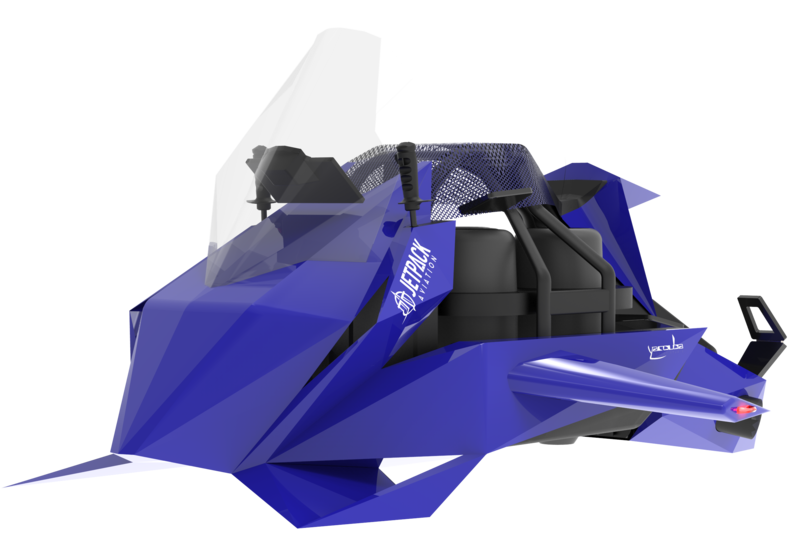 Forget the fact that, with an estimated total flight time of between 10 and 22 minutes, your trip down from the Speeder's claimed 15,000-foot maximum altitude will likely be far, far faster than the climb up. Ignore the fact that, considering the four jet turbines emit 120 decibels of noise from a distance of 10 feet, everyone within 30 yards will have to stop their conversations whenever you take off, land, or just plain go past. Instead, focus on the fact that you'll be spending well-optioned Ferrari 812 Superfast money on a personal jet-powered flying machine that casts off the primitive, well-proven foundation of lift-delivering wings in favor of a quartet of tiny turbojets generating 705 pounds of thrust beneath your torso, trusting in the machine's "sophisticated engine management computer" to save you in case one or more of the tiny jets poop out. Ruminate on the fact that JetPack is capable of flying at night and in the rain, an experience that would likely be only slightly more terrifying than bungee-jumping into Jurassic Park's raptor paddock wearing Lady Gaga's meat dress. And think about the fact that you'll be riding around on the same sort of futuristic hover bike used by America's armed forces...assuming they buy JetPack's version instead of, say, one of the other such devices already being tested. And don't forget that, when you plop down your refundable $10,000 deposit, you may not a guaranteed slot for one of the 20 recreational versions the company plans on selling—"This agreement does not constitute an agreement for the sale of a Speeder and does not lock in pricing, a production slot, or an estimated delivery date," the terms and conditions read—you will get a sweet swag kit containing a JetPack Aviation-branded hat, patch, shirt, and key chain. ...aww, it's not for you. It's more of a Shelbyville idea.